The field of bioinformatics is continually expanding and challenging our ability to bridge the gap between molecular biology and computer technology. Since the very first sequences of the insulin protein were characterized by Fred Sanger in 1951 biologists have been trying to use this knowledge to understand the function of molecules. According to Michael Levitt, sequence analysis was born in the period from 1969-1977. In 1970, Saul Needleman and Christian Wunsch published the first computer algorithm for aligning two sequences. Over this time developments in obtaining nucleotide sequence greatly improved leading to the publication of the first complete genome of a Bacteriophage in 1977. In bioinformatics, sequence analysis is the process of subjecting an RNA, DNA, sequence to any of a wide range of analytical methods to understand its features, function, structure, or evolution. Methodologies used include sequence alignment, searches against biological databases, and others. Since the development of methods of high-throughput production of gene and protein sequences, the rate of addition of new sequences to the databases increased exponentially. Such a collection of sequences does not, by itself, increase the scientist’s understanding of the biology of organisms. 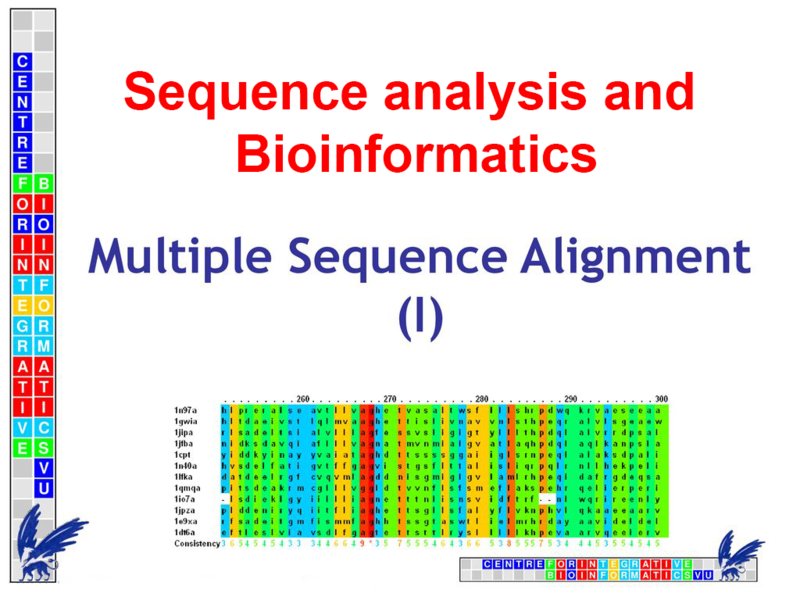 Nowadays, there are many tools and techniques that provide the sequence comparisons (sequence alignment) and analyze the alignment product to understand its biology. The students taken this course can be worked as Data Scientist, Data Modeller , organisationsBioinformatics Analyst, Technical Operation Analysorganizations.